Sir Bob Geldof came to Dubrovnik this morning with the MSC Sinfonia Cruise ship. 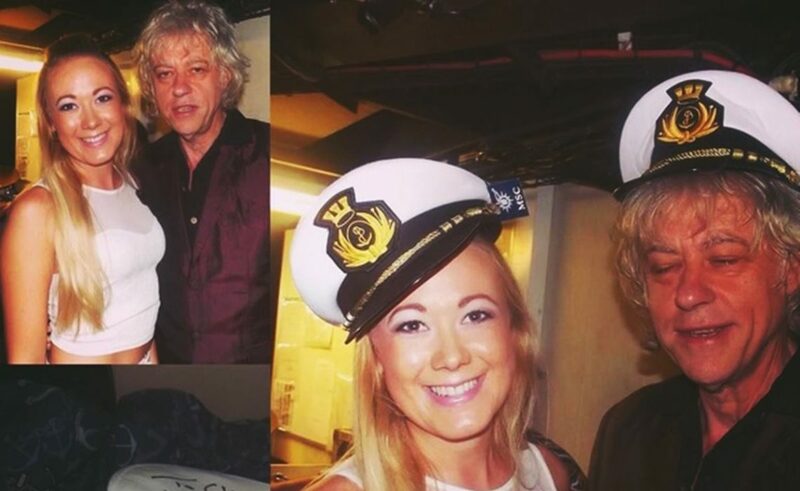 This information comes from Instagram, where Geldof posed with one of the fans from the boat, Instagram user ambermay_wilson. He had a great time, but made the evening beautiful to the rest of the crew and passengers with some of his most memorable songs. As we found out, he continued his cruise on the Adriatic coast… We sure do hope he’ll come back! Famous Irish singer, songwriter, author, political activist… Bob Geldof is probably most known thanks to the two things – amazing song ‘Do they know it’s Christmas’ and his great Band Aids. Geldof became ‘sir’ in 2005, when he was appointed an honorary knighthood by Queen Elizabeth II, and is a recipient of the Man of Peace title which recognizes individuals who have made ‘an outstanding contribution to international social justice and peace’, as the BBC stated. Geldof starred in Pink Floyd’s 1982 film Pink Floyd – The Wall as ‘Pink’, and in 2005 he received the Brit Award for Outstanding Contribution to Music.